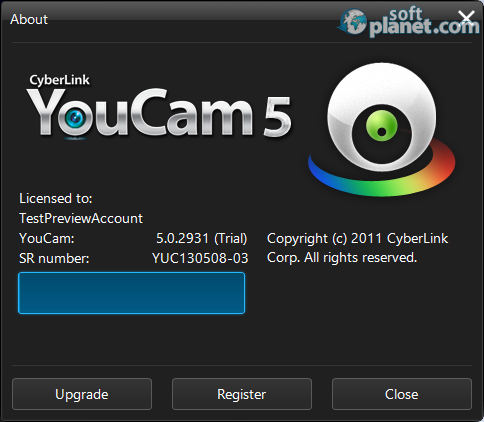 SoftPlanet makes it possible for everyone to get free CyberLink YouCam download directly from our servers. There is no registration needed for downloading. If you want to have fun while using your web camera you can use CyberLink YouCam 6.0.3918.0, a program that offers to add effects and more features to your web cam experience. The app offers a lot of features that will make your use of the web camera not only fun, but also quite useful. With it you can activate face recognition options or you can record HD videos. You can also download more effects or use 100 that are integrated in the app. But these features come for free for 15 days only, a period that will not reactivate after it expires and you have to buy the app from developer CyberLink Corp for the sum of EUR 34.99. The ways in which you can use the fun modes in CyberLink YouCam v6.0.3918.0 are a lot. The program offers you to adjust your avatar in many ways, with some of them being changes to the face, adding of accessories and many more. There are a lot of ready avatars that are offered in the app, so if you don't want to spend a lot of time creating one, you can use those that are ready. Besides that you can add confetti, 3D virtual objects, headgear, emoticons, virtual places, frames, or you can even distort your image in various ways which makes the app quite fun to use. The interface of this program is very simple and you don't have to wonder a lot what to do and how to activate any aspect of the app. You have two buttons for taking a picture or activating the camera mode, but also you can enhance the current image on the camera with a lot of various options. But if you don't like the effects you can clean them with one click on the Clear current effects button. You can also view the current image on the main window in a full screen mode. CyberLink YouCam offers a playlist that may filter its content – you can select to display videos and photos, only photos or only videos. The social tool, which lets you upload videos on YouTube, share them on Facebook or email the selected media to someone else is below this feature. There are some other functions that increase the usefulness of the app and they are included on the main screen, a feature that makes the application user friendly. There are not only fun features, because CyberLink YouCam 6.0.3918.0 offers to help you with your online presentations. With it you can create effective videos that include media from your computer. You can show charts and at the same time your image can be a part of the stream which is sent to the other party. There is the option for dual webcam support and also a nice security tool named Webcam Surveillance. Another great function of the app is that it offers a login with your face, which helps you to protect your data. This is helped by the facial tracking system that is a part of the technology used to create this useful app. 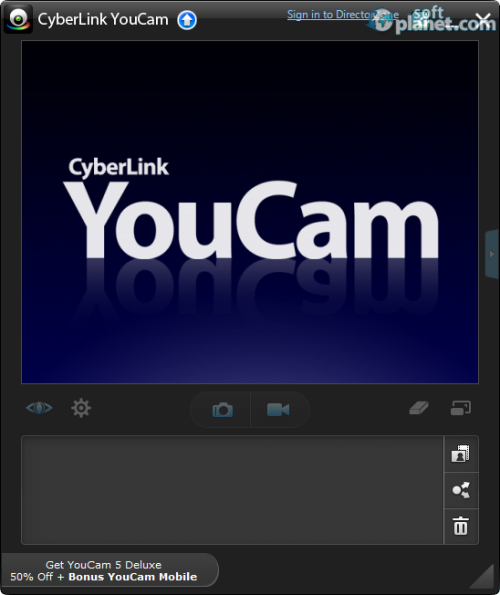 CyberLink YouCam is a program that can help you to diversify your webcam experience. It offers a lot of fun options which will make using the web camera something that you will do with pleasure. But it offers tools that can help in your work and for your security too. The only problem is that you can use all these great features for free for a limited time only and after it expires you have to buy this program. Our security scan shows that CyberLink YouCam is clean from viruses. The current version of CyberLink YouCam has been scanned by our system, which contains 46 different anti-virus algorithms. That ensures that CyberLink YouCam 6.0.3918.0 is 100% safe for your computer.